One of our original Young Guns, Craig Sheard is known for marching to the beat of his own drum. 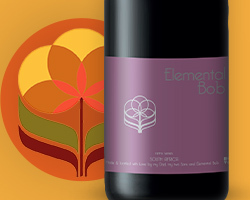 He started making wines under the Elemental Bob label back in 2004 while still studying at Elsenburg. He epitomises experimental craftsmanship and is one of SA’s new-wave forerunners. In 2014, Craig quit his day job. This commitment to winemaking shows in his new releases which impress with their quality, intrigue and pure deliciousness. 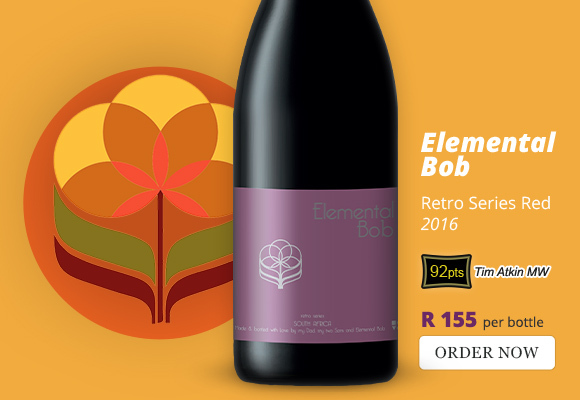 The Elemental Bob Retro Series Red 2016, 80% Cinsaut with 20% Pinot Noir, is just brimming with all these elements. It’s interesting, individual and offers great value. Almost Rhône-like on the nose, this old vine Cinsaut, produced from mostly Helderberg fruit, is vibrant, bright and wonderfully crunchy. The moreish palate is medium-bodied with a moderate 12,8% alcohol. The 14 days of skin contact adds some gravitas to its structure. Drink now through to 2021. In addition to the red above, the Retro Series comprises of 5 different bottlings. 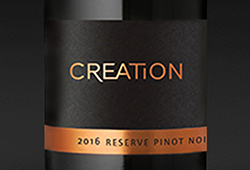 The White 2016 is a savoury, Chenin-based blend with splashes of Sémillon, Viognier, Verdelho and Roussanne. The low-alcohol Chenin Blanc 2016 is oxidative in style. The naturally-styled Grenache Blanc 2016 has a wonderfully saline undertow and is my pick of the whites. 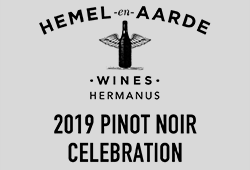 The other red in the Retro Series is the Pinot Noir 2016 which is made from Hemel-en-Aarde and Overberg fruit. Meaty, leaning towards the savoury side, it’s light and fresh with notes of delicate fruit and spice. 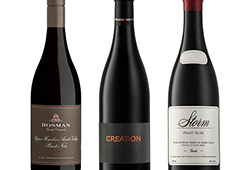 We are super excited to bring you the chance to deviate from the mainstream and plunge into these wonderful wines. 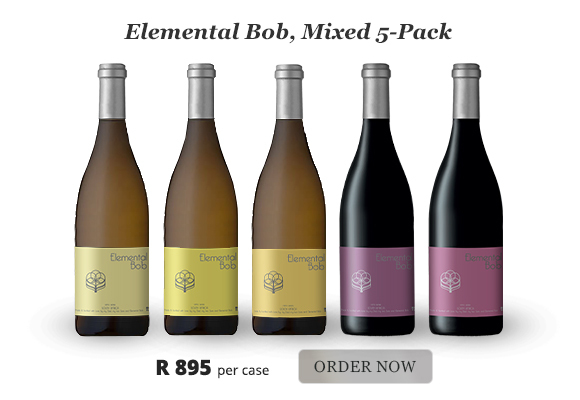 Try the 5-bottle Retro Series experience pack below.